KCK Desio – "Training for 1000 days is just training, training for 10000 days is discipline!" "Training for 1000 days is just training, training for 10000 days is discipline!" 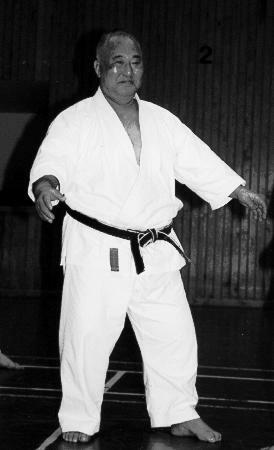 Karate-do, that is “The Way of the Empty Hand”. It is a martial art born in the Ryukyu Islands, halfway between China and Japan. It was originally conceived as a self-defense system for who was not allowed to carry swords (that’s why you have “empty hand”). Over the years, mainly thanks to the patient activity of a former primary-school teacher, sensei Gichin Funakoshi, karate-do gradually spread in Japan, and later in the whole world. Since then, many things have changed: from a close-contact, self-defense system, karate-do becomes a martial art vowed to care and improve body and spirit. Nowadays, karate-do practitioners sum up to several millions, spread in all continents. The Kanku-dai Club Karate-do Desio was born in 1988 in Desio (province of Monza-Brianza, near Milan, Italy), when the young sensei Roberto Colombo gave new life to the former KCK Desio, founded many years before by sensei G. Zandonà, whose practitioners had left. With dedication and perseverance, passion and discipline, through many difficulties, over the following thirty years the KCK Desio became a sound reality among the martial arts’ clubs in Lombardy. Our enthusiasm and the energy we infuse in karate-do are today still the very same.